NT Frankenstein (2011) | The World of C.C. I remember it was 24th March 2011, when I first encountered National Theatre Live. 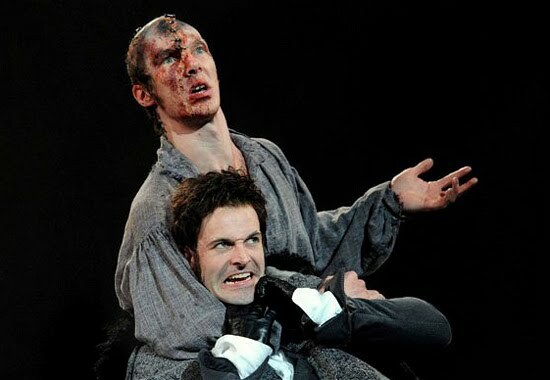 The first show I went to see was “Frankenstein” – obviously for the sake of Benedict Cumberbatch, he was my crush back in Sherlock days. 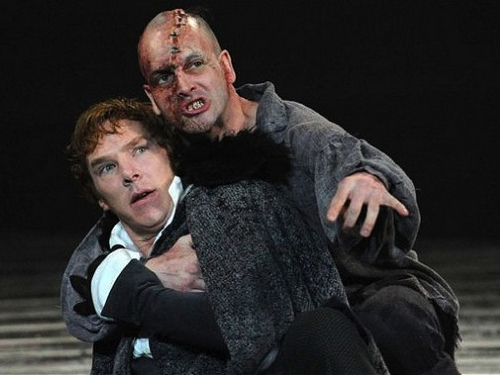 Yes I have been knowing the story of Frankenstein almost inside and out, thanks to the fact I have seen the old films and read the stuff in GCSE English Literature lessons. However it was very electrifying to see it live, played by my favorite actor. Many when talked of the story, the theme surrounded mostly on parenting; science and control of human capacity. For me however as the scenes sank into my bones and memories, it reminded me of how scientists tried to find their validation in this world, just like any other people in different context. If you made something great such as invent Penicillin like Alexander Fleming, then you would receive fame; you would be respected and very likely remembered in history. However on Frankenstein,he seemed only just understood that to gain recognition, he was to pay prices by teaching the creature how to live and he was not prepared to do that for his recognition….